Huge Savings Item! Save 13% on the Vandoren SM602B A45 Jumbo JAVA Mouthpiece Alto Saxophone by Vandoren at Tritone Guitars. SKU: 13199. MPN: SM602B. Hurry! Limited time offer. Offer valid only while supplies last. The most hard-hitting mouthpiece of the Vandoren Jazz mouthpiece line. Designed with a small chamber with a very high baffle and a large bore. 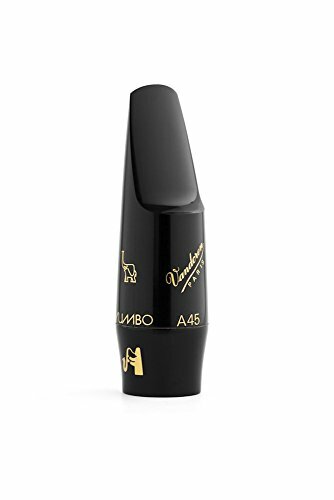 The most hard-hitting mouthpiece of the Vandoren Jazz mouthpiece line. Designed with a small chamber with a very high baffle and a large bore. Produces a powerful, aggressive tone with excellent projection, comparable to edgy metal mouthpieces.